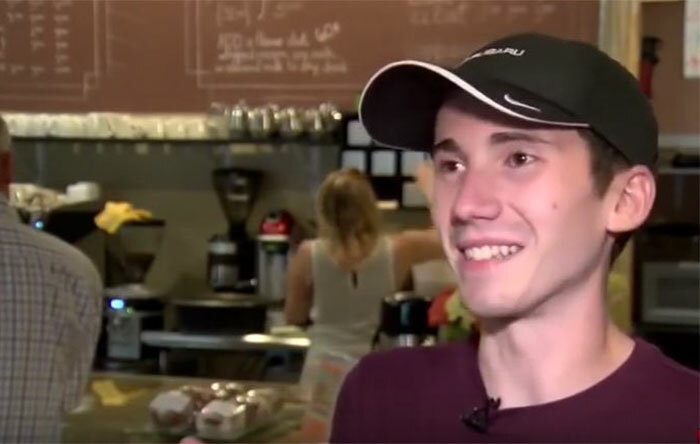 Small coffee shop in Virginia reminds its customers that it pays to be polite, literally! We have all been thought to mind our manners during the course of our lives but sometimes we forget to use our “please” and “thank you’s” during the hustle and bustle of our daily activities. Well, this small town coffee shop is here to remind us that being polite has its benefits. 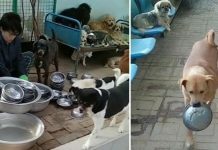 A cozy cafe in Virginia had put out a sign at their entrance which caught the attention of all the customers who walked in. Written on the board were three different prices for the same cup of coffee, the thing that separated them was the way customers order the cup. 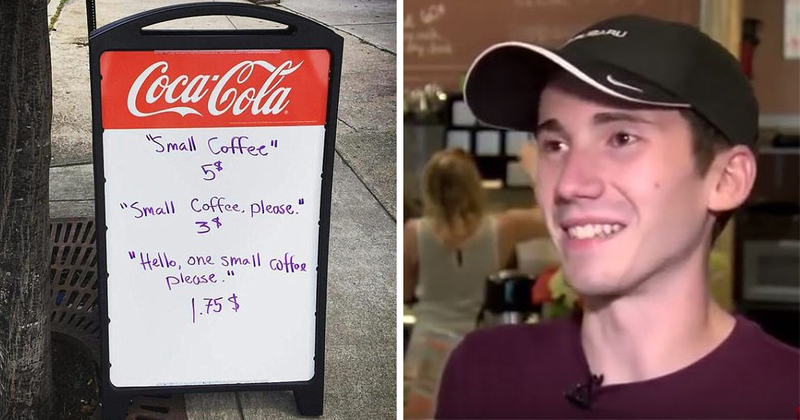 The sign dictated that if a customer ordered a cup of coffee by simply saying “Small Coffee” they will be charged $5, if they said “Small coffee, please” they’d be charged $3 and finally if they come in and greeted the barista first by saying “Hello, one small coffee please” they’ll be charged $1.75. 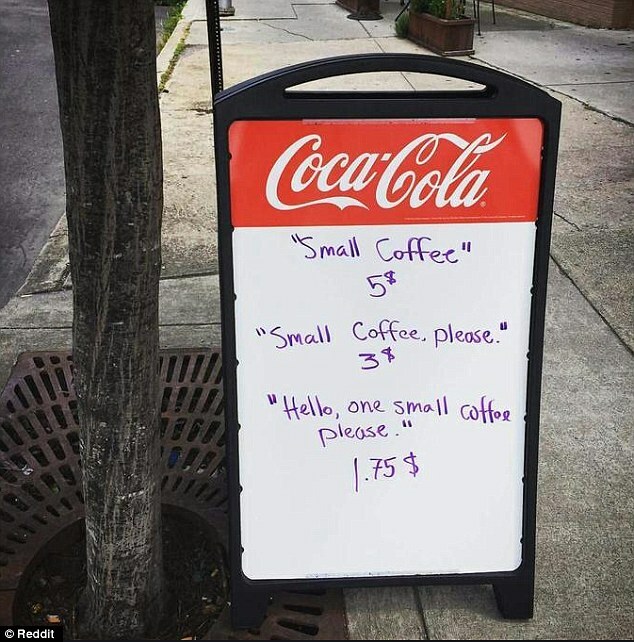 This ingenious tactic to remind people to use their manners was thought of by the cafe owner, Austin Simms, who was simply sick and tired of people forgetting basic human decency. He has heard people running into the cafe while shouting “Coffee” or simply “Pour me a cup, mate”. Austin knew he can’t tell his customers to mind their manners and publicly shame them because they are all grown adults, so he decided to get his message across in a more subtle way. That was when he came up with the different pricing on the board. A Reddit user took a photo of the board and posted in online with the caption “Sign at a local coffee shop” and it was shared hundreds of times.